Dream on ! And no group is required ! There we go ! It’s Sunday again and as every sundays, Petit Chat like to spoil her followers. 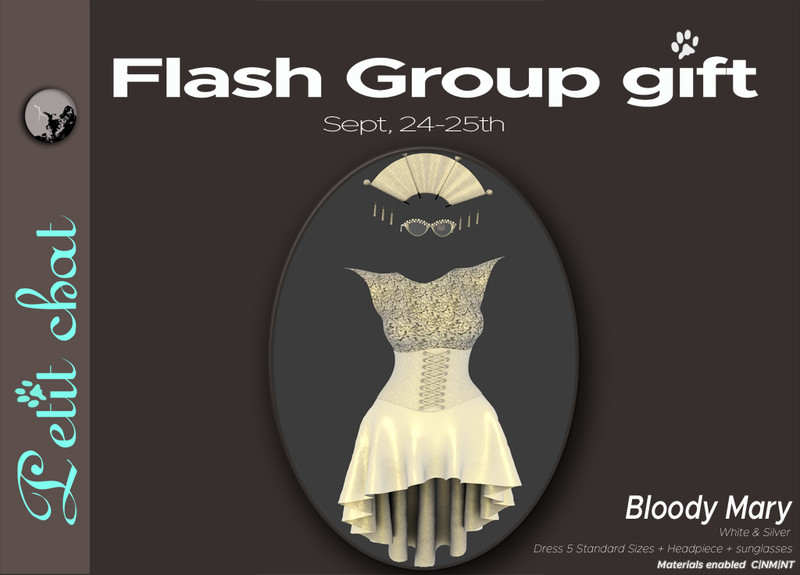 So this week, the Bloody Mary dress in white and silver is our flash group gift ! Read the full details here. NEW FLASH GROUP GIFT IS OUT ! Sept 17th and 18th ONLY ! Esmeralda necklace… More details here. Sunday again ! 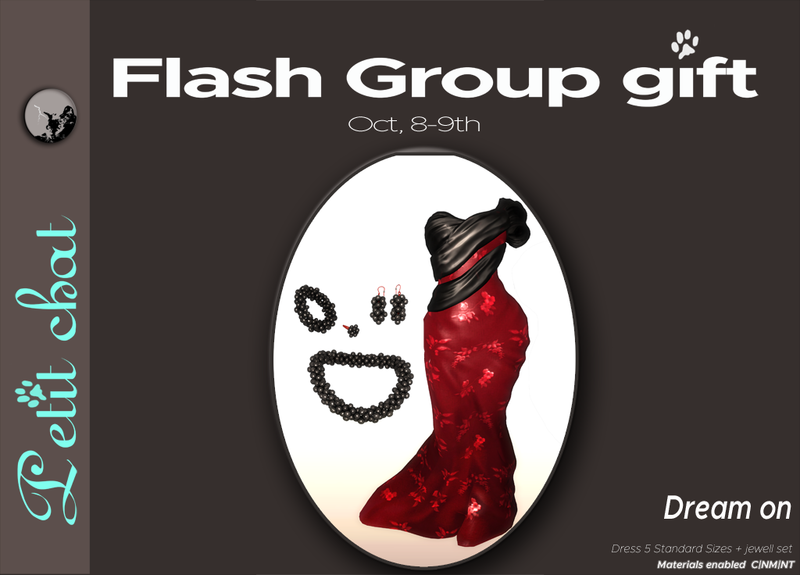 And a new flash groupgift ! It is here ! 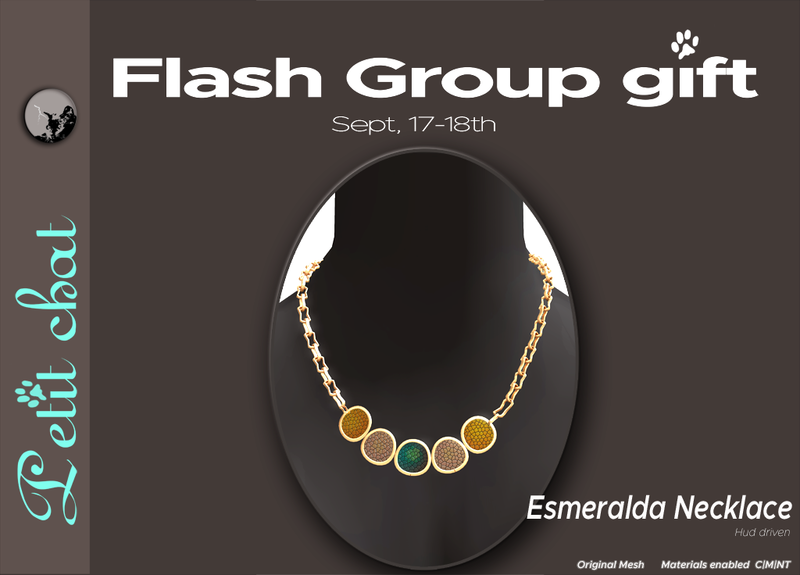 Our weekly Flash Groupgift is out ! This week it’s the cute and short Smoldering dress in blue. More infos on our dedicated page !